It is not easy to describe the cuisine of Japanese chef Atsushi Tanaka even if he has been described as the Picasso of the kitchen by his master Pierre Gagnaire. Even when asked he hesitates before he answers that his cuisine is French at its basic but with influence from his home country Japan and his travels to Spain, the Netherlands, Belgium and Scandinavia. “I wouldn’t call my cuisine French. Yes, there is French influence but I have worked in Spain, Belgium, Netherlands and in Scandinavia (Copenhagen and Stockholm),” he tells Food and Wine Gazette. Probably the best way to describe his cuisine would be international. He agrees telling me he would describe it as an international contemporary and modern cuisine. 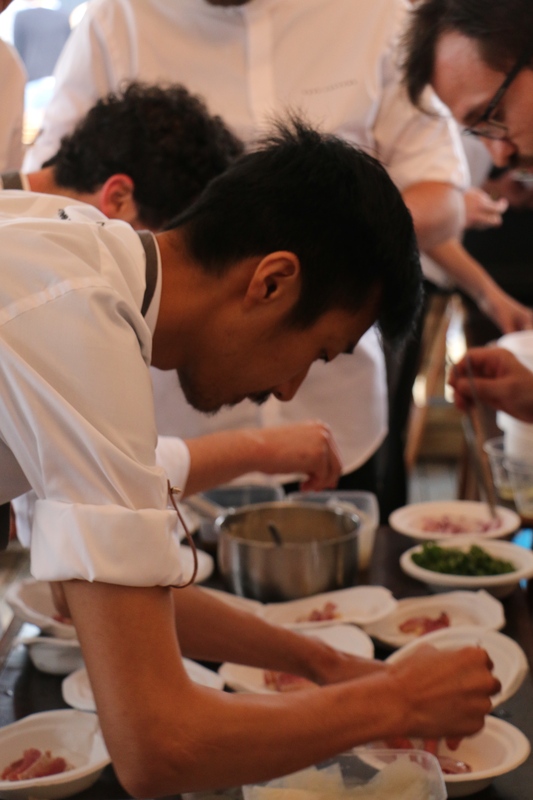 This young Japanese chef is one of the many chefs that are establishing themselves in the heart of the world’s culinary centre Paris and cooking French cuisine. These Japanese chefs have moved from their traditional Japanese cuisine and are making a name for themselves in a place where it would not have normally been easy for foreign chefs to establish themselves. He tells me that given the culinary culture of the French capital it was not difficult to establish oneself. “That culinary culture helped us in many ways,” he says. The young Japanese chef takes his inspiration from his travels and his experiences abroad. “I have been inspired by Japanese, French, Spanish, Belgian and Scandinavian cuisine. But at heart it is my cuisine,” he says. Atsushi Tanaka’s Restaurant A.T. in the Paris Latin Quarter has only opened in March 2014 but it is exceeding expectations. It has already been noticed by Gault Millau and he hopes to attract the attention of Michelin and the San Pellegrin0 list. He tells me he owes his career to Pierre Gagnaire. “He is the chef who inspired me when I was 17 years old and I am a chef thanks to him. He also mentions Quique Dacosta and Sergio Herman as having left an important impression on him. In turn, given how Pierre Gagnaire refers to him (‘Picasso of the kitchen’) you need to make sure to remember this name. 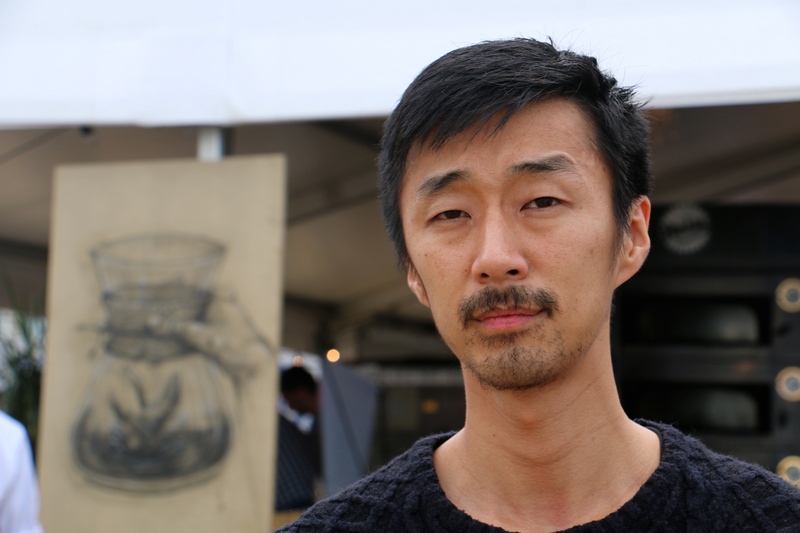 Atsushi believes chefs need to travel for their own country’s cuisine to evolve. He still owes a lot to Japanese techniques. He tells me that for example, when it comes to the conservation of fish and technique when using fish, he goes back to his Japanese origins. Favourite dish you have made? I love Spanish cuisine. It is simple and good.